Several charter members of the branch attended the AAUW NC fall meeting at which the AAUW NC board approved the branch. They are pictured here with Millie Hoffler-Foushee, AAUW NC president. 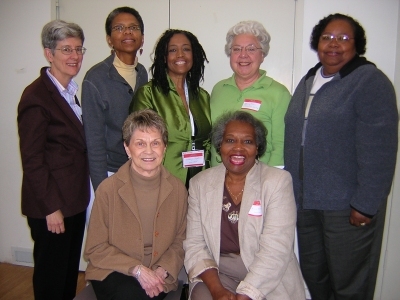 Back row: Nancy Shoemaker, Sheila Bassoppo-Moyo, Mary Stephens, Mary Fran Schickedantz, Queen Thompson. This entry was posted in News and tagged pix. Bookmark the permalink.